Larry Dignan predicts for 2007: Google goes evil. But despite Donna Bogatin (see e.g. 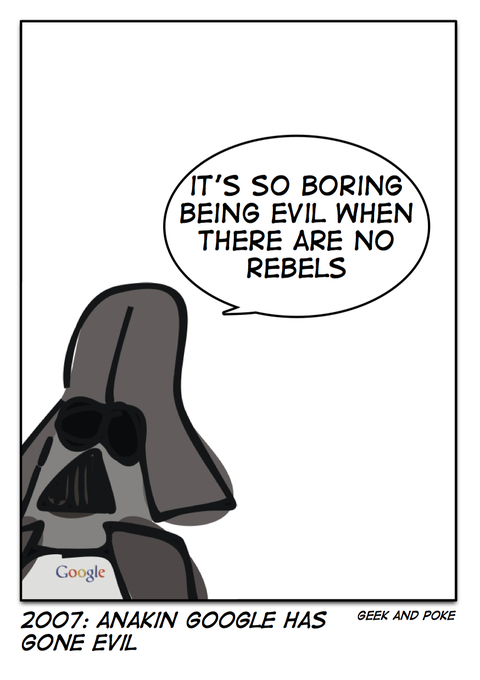 Is Google 'The Internet' or Google search kingdom: Benevolent or despotic) there are almost no rebels.